Must be a reported colony or chapter advisor at the time of the event. 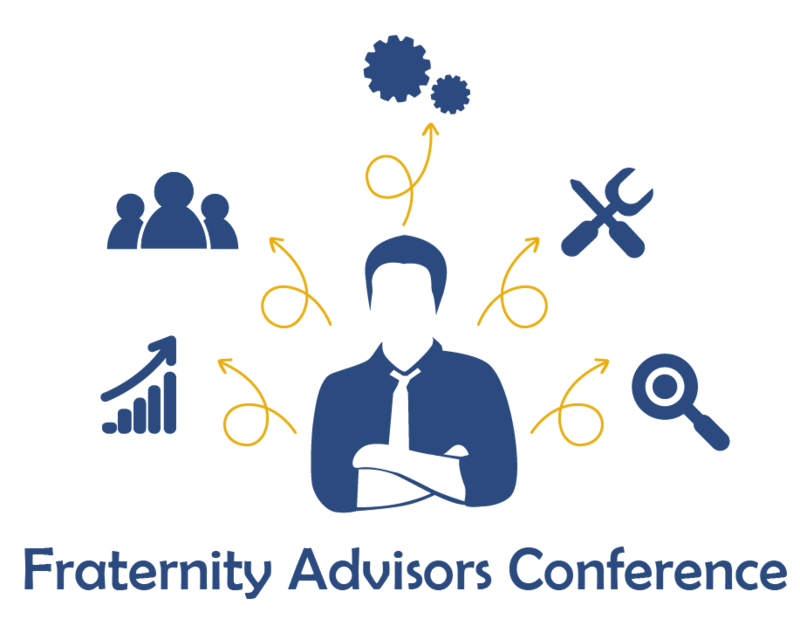 The Fraternity Advisors Conference (FAC) is an educational leadership experience designed to provide chapter advisors the knowledge and skills to effectively coach those you serve, self-awareness, chapter operations, understanding vision, and how to create a chapter success plan. Through a servant leadership lens, participants are able to focus on member retention, teamwork, conflict resolution, and compromise. This experience will seek to provide participants with the necessary tools to coach those they lead, an opportunity to assist the chapter president to create a Chapter Success Plan, and the necessary tools to assist the chapter in fulfilling its purpose. I accept the offer to attend the Presidents Academy & Fraternity Advisor Conference. I understand once I commit to attending if I should cancel for any reason after the cancellation deadline I will incur the penalty for non-attendance:Students: $250 charged to chapter accountAlumni: $250 invoiceFurther, I understand once I commit to attend, should I fail to attend the entirety of the event, I will be assessed a $150 per day no-show penalty. If the chapter advisor is unable to attend, the section director may attend instead. If a section director is serving as a chapter advisor or is in a role supporting the chapter president they may also attend. Which expenses are covered with registration? Denver Airport Rail- Travelers can now use A Line, the new rail service from Denver International Airport to LoDo’s (lower downtown) Union Station and back, courtesy of Regional Transportation District (RTD). The Denver airport rail has six stops along the way and takes approximately 37 minutes at a cost of $9 each way. * Mileage will be reimbursed per the Board of Directors’ Statement of Policy. Mileage: Mileage to and from the FAC will be reimbursable per the rate in the Board of Directors’ Statement of Policy. Airfare: Flights booked at least two weeks (14 days) prior to the start of the conference will be reimbursable. Attendees should make every effort to secure the least expensive flight option. Flights costing more than $500 USD must be pre-approved by the Heritage Center staff. Alpha Kappa Psi has a relationship with Egencia providing attendees the ability to book flights with no up-front cost to the attendee. After registration, individuals will receive an email from Egencia with information on booking a flight. Individuals may book flights on Egencia using a personal credit card (reimbursable) or on the fraternity’s account. Flights may be booked via Egencia or other travel service provider. The closest airport to the event location is the Denver International Airport (DEN). Arrive at the hotel by 5PM on Friday, January 4. Those flying should schedule their departure flight any time after 2 PM on Sunday, January 6. The Heritage Center staff will arrange all sleeping rooms for attendees. All attendees with be paired with a roommate unless a single room is requested. A single room will be at the expense of the attendee ($70 per night) and is not reimbursable. Confirmation numbers and a roommate list will be distributed prior to the start of the conference. Room and tax is covered; incidentals are the responsibility of the attendee. Denver Airport Rail- Travelers can now use A Line, the new rail service from Denver International Airport to LoDo’s (lower downtown) Union Station and back, courtesy of Regional Transportation District (RTD). The Denver airport rail has six stops along the way and takes approximately 37 minutes at a cost of $9 each way. This expense is reimbursable up to $18 round trip. A shuttle service will be provided from Union Station to the Grand Hyatt. Which expenses are not covered? Expense reports must be submitted for reimbursement within 60 days of receipt. Expense reports should be submitted to the Heritage Center via mail or email. Receipt(s) must be inlcuded in the expense report submission. Upon receipt of the expense report, expenses are normally reimbursed within seven (7) business days. Learn more about other AKPsi events.